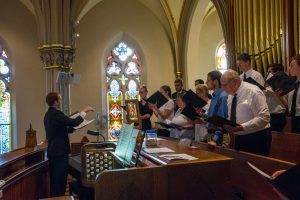 St. Joseph Schola, Choir, and friends. EF Mass, July 13th. Schola. EF Mass, July 13th. Choir. 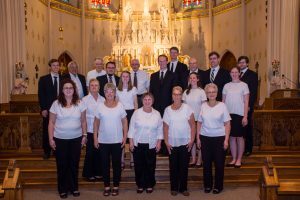 Welcome to the home of Sacred Music at St. Joseph Catholic Church, Mishawaka! We are a friendly and supportive community dedicated to praising God through excellent music which is Holy, True Art and Universal. Here are a few upcoming events which may interest you. Please contact Jerome Cole at (574) 255-6134 if you would like to participate, or would like to learn more about Sacred Music at St. Joseph’s. Interactive Organ Recital. 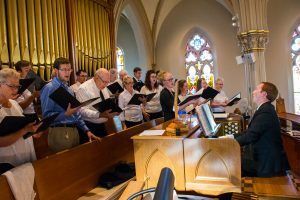 A celebration of German organ chorals with singing and solo organ and voice pieces, centering on the Easter chorals set by Bach in his collection “the Liturgical Year.” Pentecost Sunday, June 9th, 4pm.